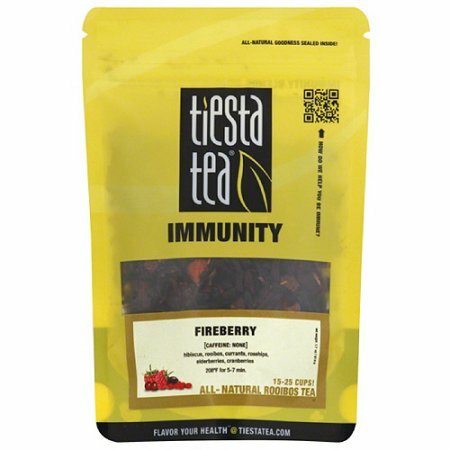 On my latest excursion to the grocery store, I was shopping for tea when I came across Tiesta Tea® standing out among the waves of tea cartons. And that is where the excitement started. The packaging is eye-catching for several reasons. 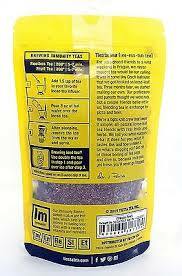 First, it breaks the mold of standard tea bag package structure or format. Tea is typically packaged in a rectangular paper carton decorated with images of relaxing environments. 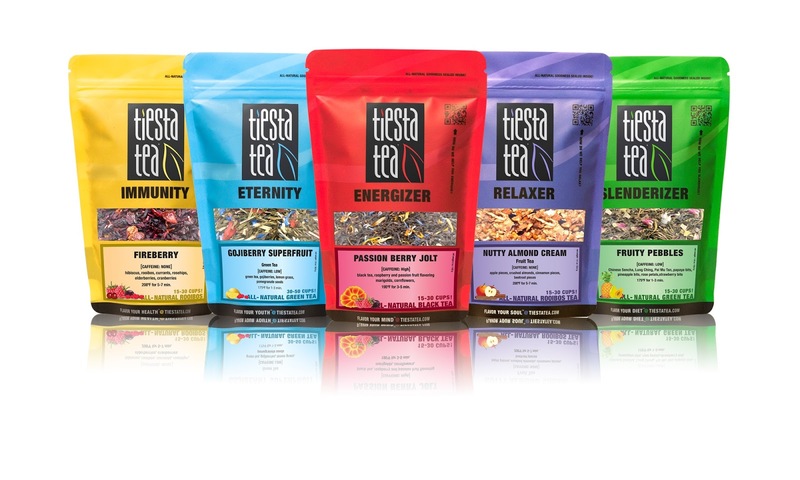 The Tiesta package has replaced cartons with smaller, resealable pouches filled with differing formulations of loose tea, a format and size usually found only in fine tea stores, not on the retail shelf. Each packet/pouch has a uniformly positioned clear window that displays the tea blend inside the package – and, intentional or not, you get the bonus of a slight fragrance from the tea. The package is conveniently sized for home storage or for throwing in your bag to take to work. The package also uses a clean, straightforward approach to graphic design. The different flavor formulations are distinguished by a bright primary color that has subtle reference back to the composition of the tea mix. At least half of the face panel is devoted solely to the brand image, which is as direct as the package design itself. Composed of a simple black rectangle with white typography and a stylized tea leaf, the brand has tremendous impact for the size of the package. The simplicity of the remaining elements on the face panel makes communication with the consumer very direct. Components are organized to draw the eye directly down and through the copy. Interestingly, the positioning statement “flavor your health” is located at the very base of the package, capping the brand communication as a quiet, concluding thought. I anticipated that the back panel of a package this size would be crowded with material, but I was pleasantly impressed with its content and organization. Simple pictograms and copy provide brewing guidelines and are balanced against copy that provides the backstory on the origin and mission of the company. The clear window from the front of the package is repeated along with a concise statement on the health benefit of the tea formulation and a simple cross-sell reference to the five flavors available in the product line – a convenient way to interest consumers in trying other products. In the end, what I feel makes this package so successful is the structure and design that effectively draws your attention in a crowded category and establishes a strong “personality” in the process – a small package with a big kick that shakes up your tea paradigm. As a consumer, I feel I’m buying something new and special. I appreciate the thought and effort put into this product line. After all, when all is said and done, I believe the entire purpose of effective packaging is to break through the excess stimulation and distraction of a retail environment and influence the consumer to “try me”. Of course, what happens once the consumer gets the product home determines whether or not they will establish a long-term relationship.